So, 2018 is history with all its ups and downs. Let us look at the brand new year 2019. It is the last ‘teen’ year before the millennium matures. UN has declared it as the International Year of indigenous languages. It has been dedicated to raising awareness about languages of indigenous peoples all over the world. 2019 is the Chinese Year of the PIG. Chinese New Year in 2019 starts on Tuesday, February 5th and ends on January 24th, 2020. The year of the Pig 2019 comes right after the Year of the Dog (2018) and before the year of the Metal Rat (2020)! In India 2019 is the general election year. Call it coincidence if you like, but years that end in a “9” has a habit of being eventful. More particularly, they tend to be years of upheaval. Guardian has published an interesting story giving a long list of upheavals happening down the year- ending with ‘9’. There’s 1789 the year of the French Revolution. The year 1939 saw the beginning of Second World War while 1979 encompassed the Iranian Revolution and the arrival of Margaret Thatcher in Downing Street. A decade after that, the tearing down of the Berlin Wall heralded the collapse of communism. 2009 saw unrest after Iranian presidential election and ethnic tension in Western China. That set me do a quick google search to see what has been the scene in India. Well, Mandal Commission was formed on 1979. India had general elections in 1989 which saw V P Singh becoming the PM. Odisha experienced super cyclone in 1999. And 2019 is the general election year. 6 January is observed as Marathi Journalism Day. It was on this day in 1832 that journalism in Maharashtra began with ‘Darpan‘, the first Marathi newspaper. It was also the twentieth birthday of its founder-editor Balshastri Jambhekar, who is regarded as the father of Marathi Journalism. 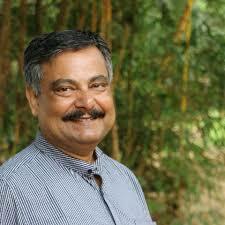 Balshastri was born in the village of Pombhurle in the Rajapur taluka in Konkan region of Maharashtra state. Intelligent and talented from childhood, Jambhekar could realize the power of the printed media and wanted to employ it to uplift people from the clutches of superstition and make them see the light of modernity. He realized that only an awakened and empowered mass could struggle against the alien rule and attain freedom and enjoy the fruits of freedom. He decided and published Darpan in association with two other persosns: Govind Kunte and Bhau Mahajan. The newspaper was printed both in English and Marathi languages in two separate columns. Marathi was meant for the general public and English was meant for the English reading people, specially the ruling British administrators. It was priced at 1 rupee. Since the concept of newspaper was new, and the price of the paper was rather high, there were few subscribers to this paper initially. However, it gradually picked up. The paper lasted for eight and a half years. July 1840 saw the last issue of Darpan. In 1840 he started the first Marathi monthly Digdarshan. He edited it for five years. It published articles in various subjects, namely, physics, chemistry, geography, and history amongst others. He was the first person to publish research papers in the quarterly journal of Asiatic Society and print “Dnyaneshwari” (commentary on the holy Bhagwad Gita) in 1845. His other contributions include written books on Neetikatha, Encyclopedia History of England, English Grammar, History of India, and Mathematics based on Zero. Jambhekar served as the first Hindi professor at Elphinston College, Mumbai and also worked as Director of the Colaba Observatory. In his publications he dealt with many social and political issues, besides dissemination of news. He focused on widow remarriage. He was opposed by the conservative section of the society. But he went on writing about this issue to create awareness among the people to give equal status and adequate space to women in the society. Jambhekar died early. He died on 18 May 1846. He was just 34 then. Darpan and Digdarshan set the agenda for other Marathi newspapers to follow. Since then many Marathi newspapers such as Kesari, Kal, Sudharak, Dr. Babasaheb Ambedkar’s Mooknayak and Bahishkrut Bharat etc contributed immensely in social upliftment and political awakening of the people in Maharashtra. 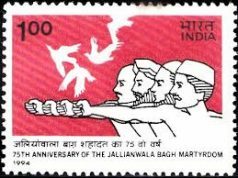 Their role in India’s freedom struggle was significant. ‘Mrigaya’ fame Mrinal Sen is no more. He was the last of the famous trio (the two other being Satyajit Ray and Ritwik Ghatak) of Bengali master auteurs that by large represented Indian New Wave cinema between 1950s and the 1970s to leave for his heavenly abode. Legendary filmmaker and Padmabhushan and Dada Saheb Phalke awardee, Mrinal Sen died in Kolkata on 30 Dec. he was 95. He was known for movies like Baishe Sraban (Bengali, 1960), Bhuban Shome (Hindi, 1969), Mrigaya (Hindi, 1976 based on Odia littérateur Bhagabati Charan Panigrahi’s short story), Oka Oori Katha (Tamil, 1977), Akaler Sandhane (Bengali, 1980), Kharij (Bengali, 1982) and Khandahar (Hindi, 1983). He also made Matira Manisha in Odia, based on the novel of the same name by Kalindi Charan Panigrahi, though for some reasons his name was not there as the director in the film. Sen is best known for the aesthetic and technical quality of films that generally delved on socio-political issues and often carried a political overtone. Mrinal Sen, who made his first film “Raat Bhore” in 1955, didn’t find instant success. However, his 1960 film “Baishe Shravana” saw the emergence of an angry film maker who was a critique of the harsh realities of contemporary India and would never shy away from asking difficult questions. Recipient of 12 international film awards, Mrinal Sen was also a member of the Indian People’s Theatre Association. to find that in AC and cooler. 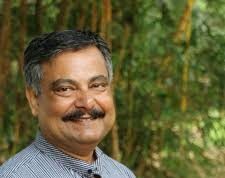 Mrinal Chatterjee, a journalist turned media academician lives in Dhenkanal, Odisha. He writes fiction and plays.